Move your fingers and shake the leaves on the treetops, let the troubles drift away, as if stimulating your life and mediating your heart! The coasters are made out of wool felt material, which can absorb water quickly and can even be used as a heat insulation mat. 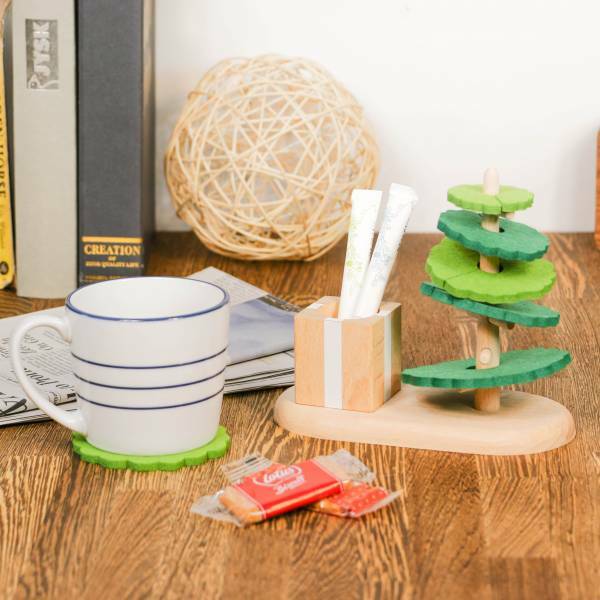 Sitting beside the tree is a wooden gift box that can help you store small items, such as fruit forks, toothpicks and sugar sticks. Let the dancing leaves become a little helper in your life.